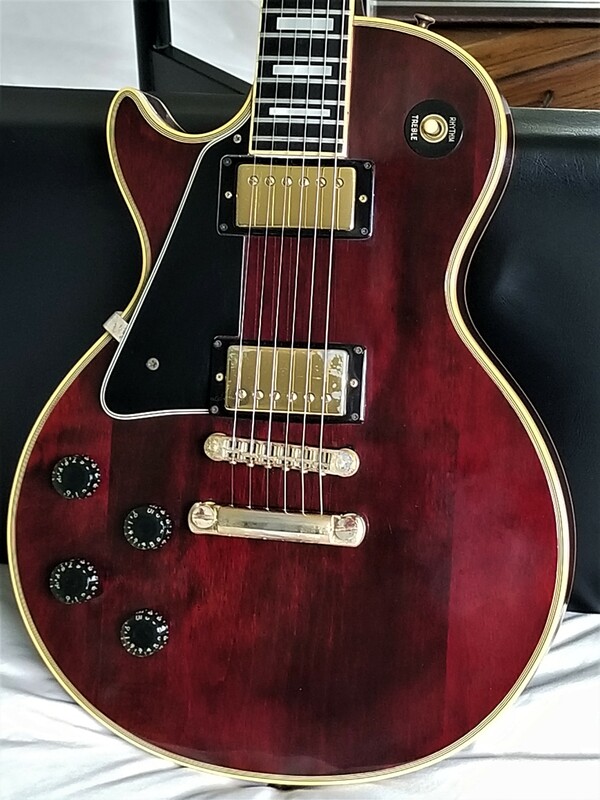 1979 Gibson Les Paul Custom, Wine Red, 100% Original with OHSC, EXC Condition! 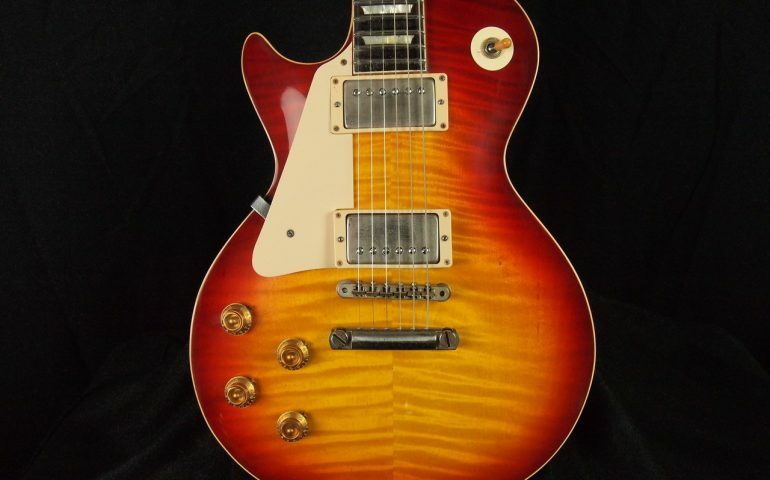 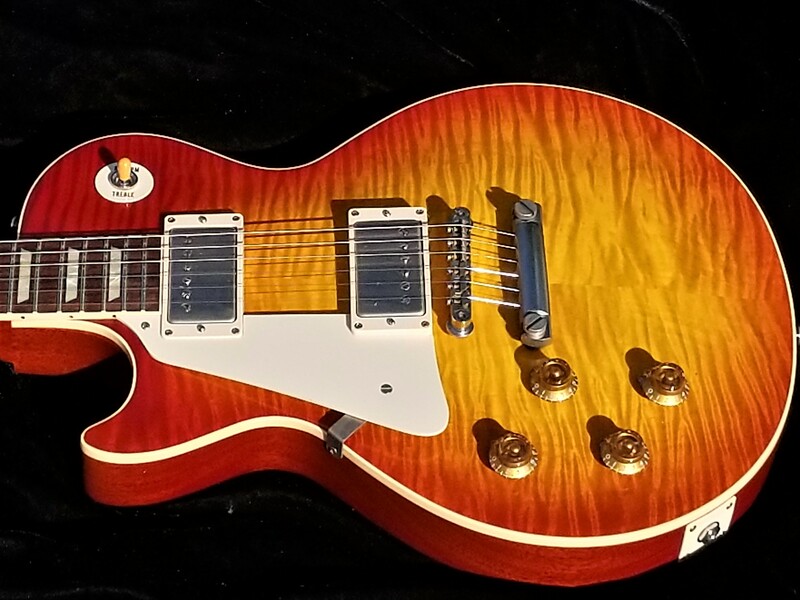 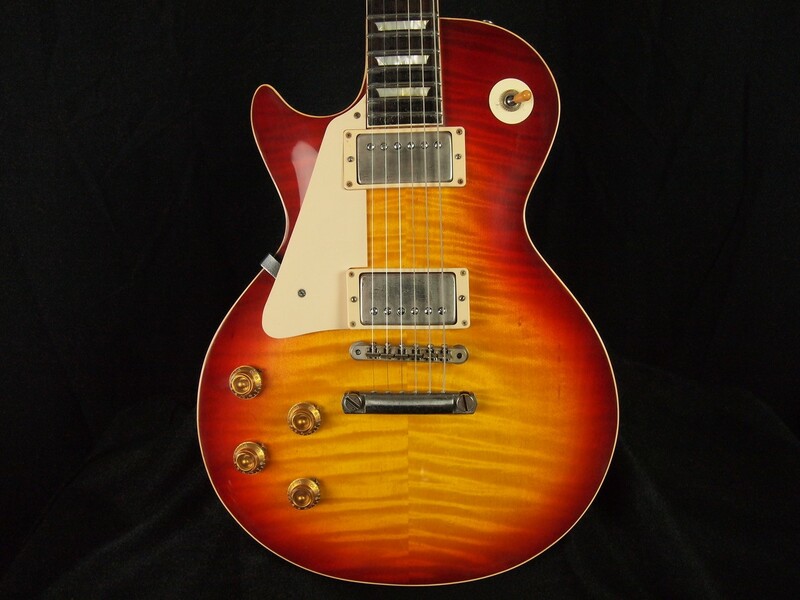 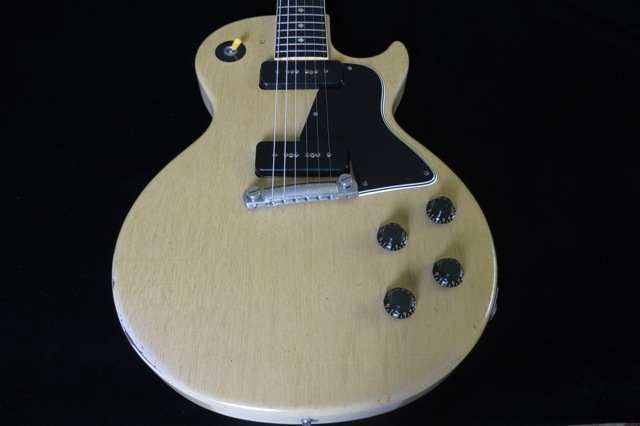 This is a 1979 Gibson Les Paul Custom, Wine Red finish, Gold Hardware, Ebony fretboard. 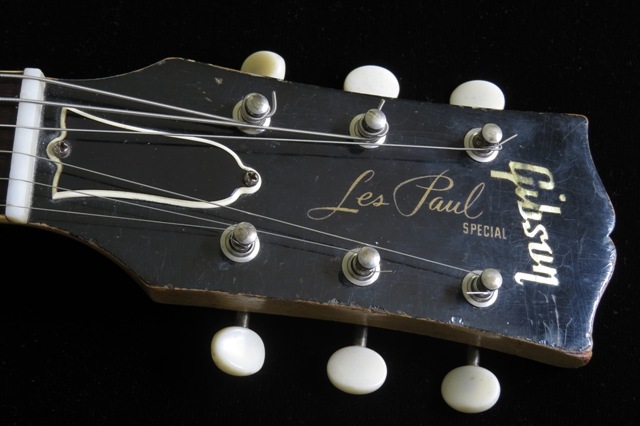 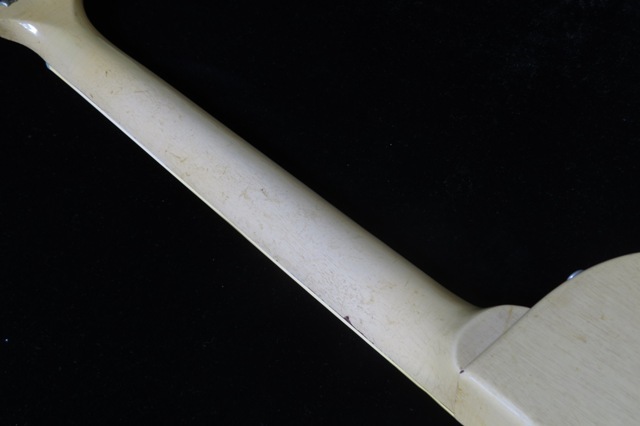 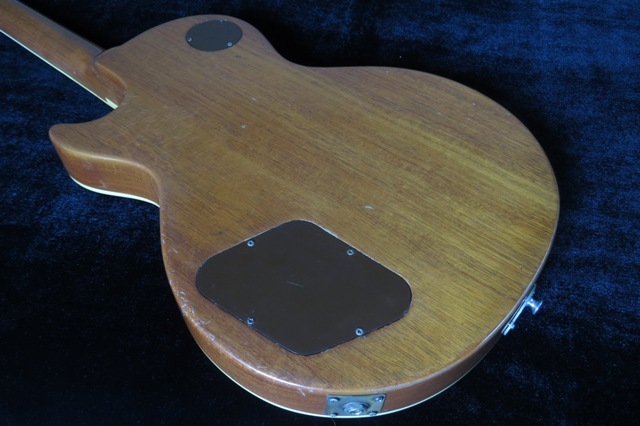 This was the 25th guitar made in the Kalamazoo, MI plant on September 14, 1979. 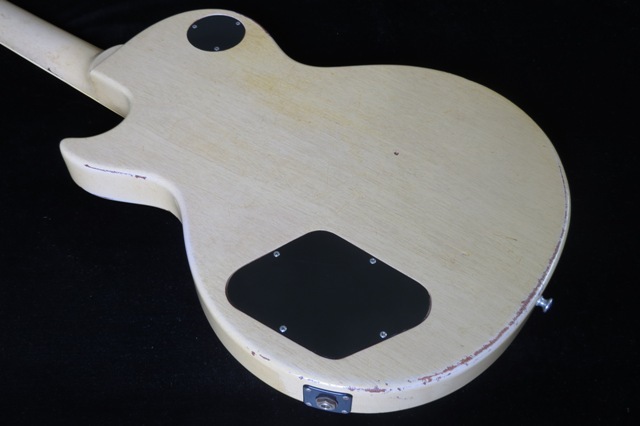 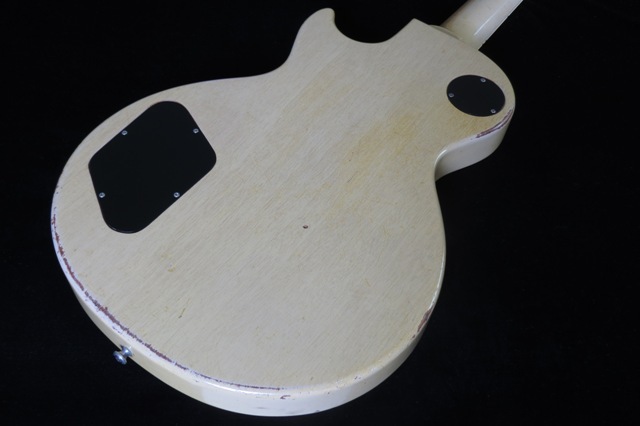 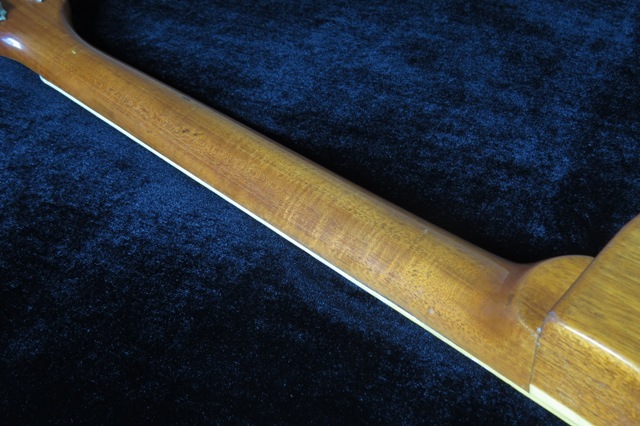 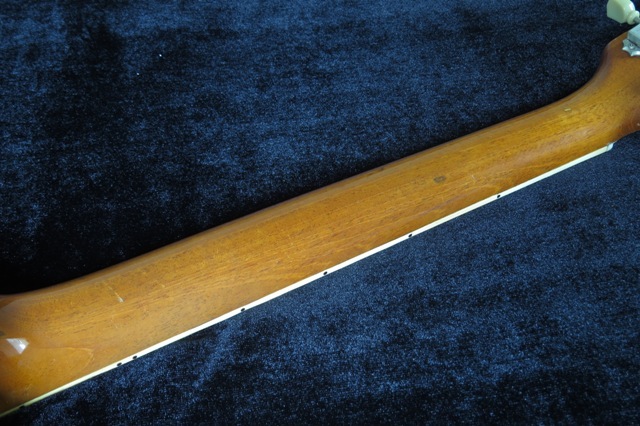 The neck is on the slim side, with 1st fret/.82 and 12th fret/.95. 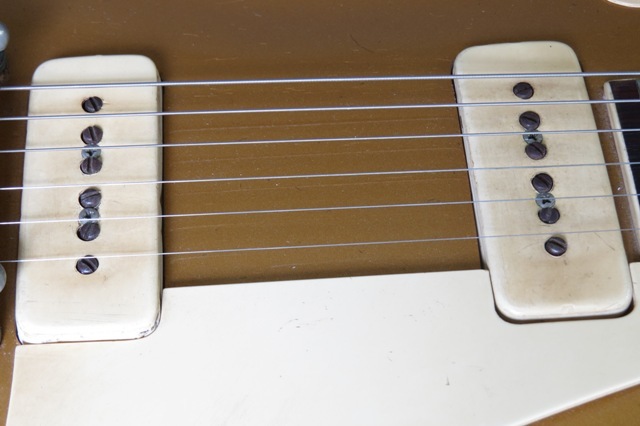 The pickups are balanced with neck/7.67K and bridge/7.73K. 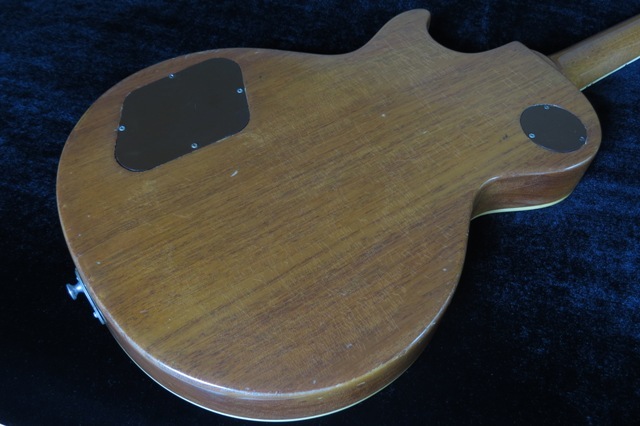 The weight is on the lighter side for a 70s all-mahogany Custom: around 10 lbs on a bathroom scale. 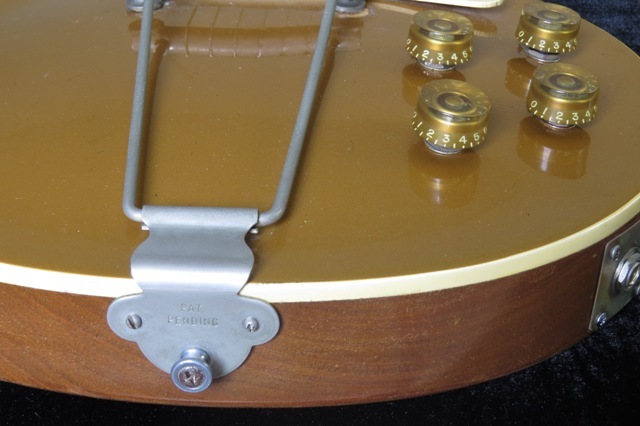 I’ve seen 70s customs heavier than 11 lbs! 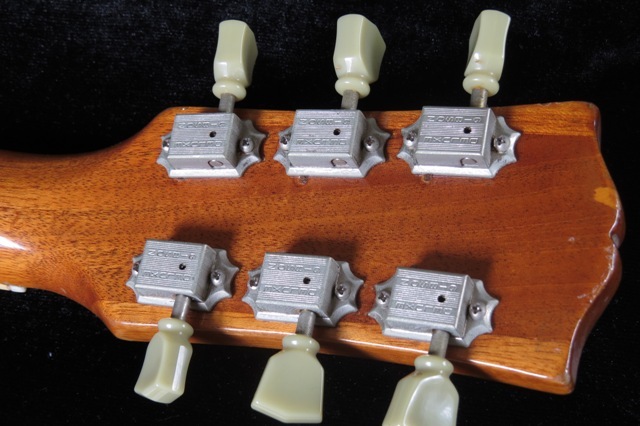 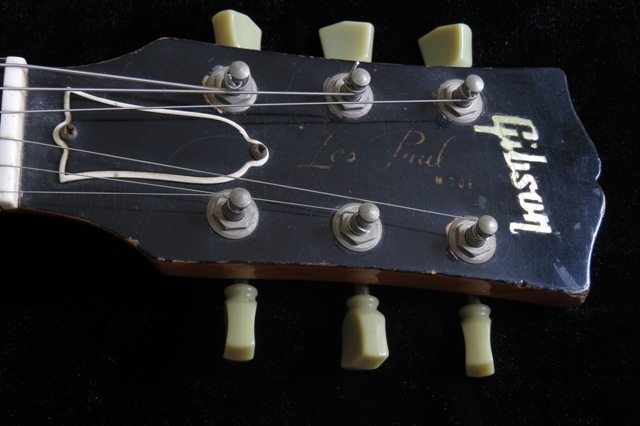 The headstock is marked “SECOND” on the back, which is usually a mystery stamp found on many really good older Gibsons based on my experience. 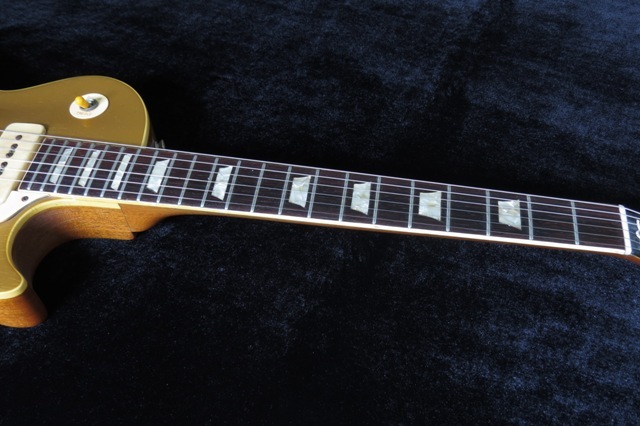 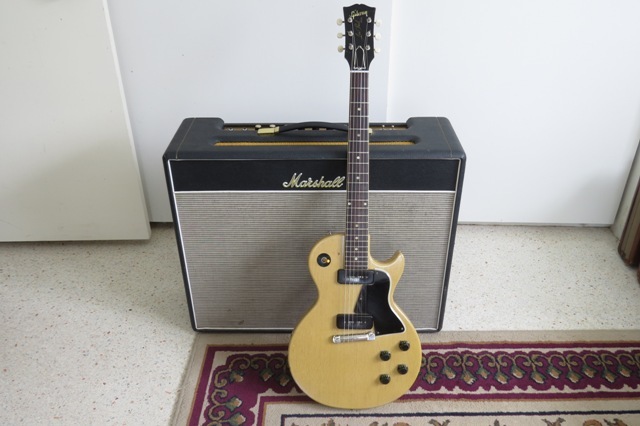 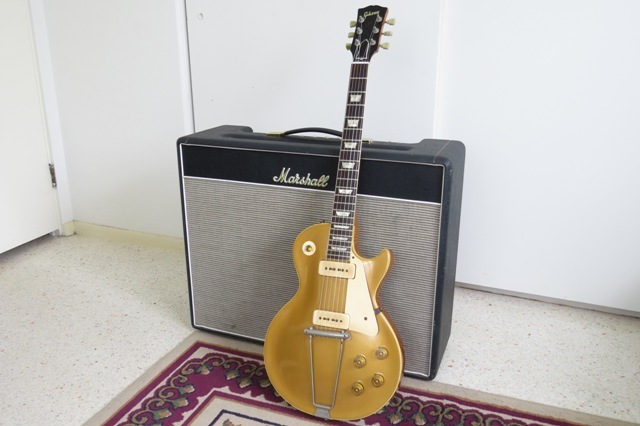 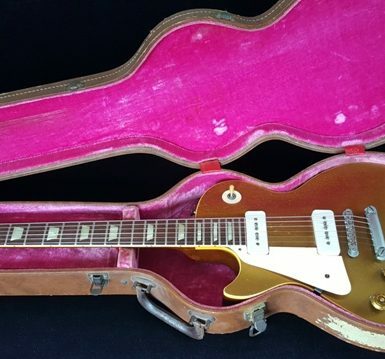 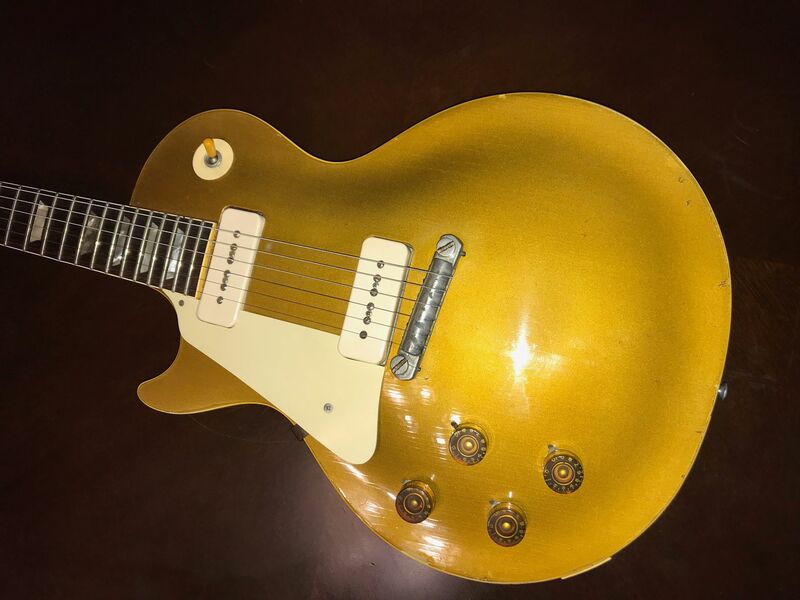 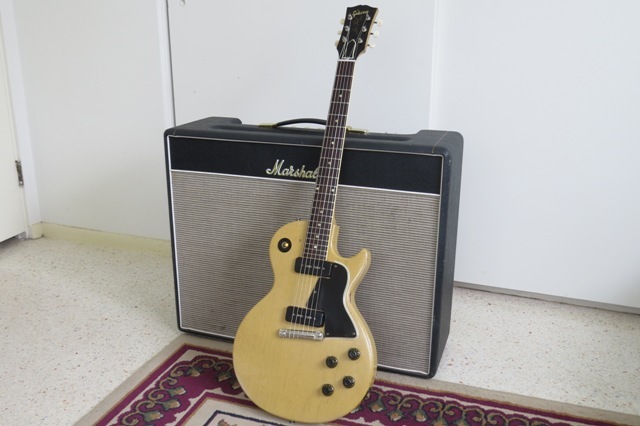 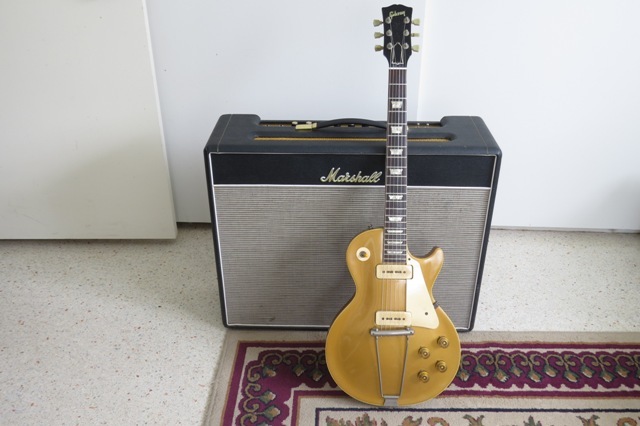 1952 Right Handed Gibson Les Paul Goldtop, Killer Vintage Tone! 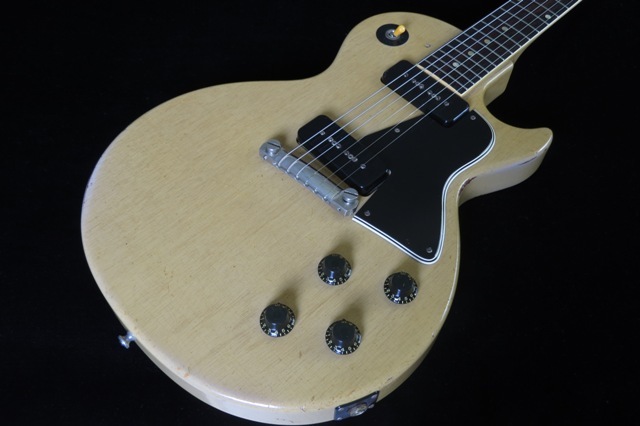 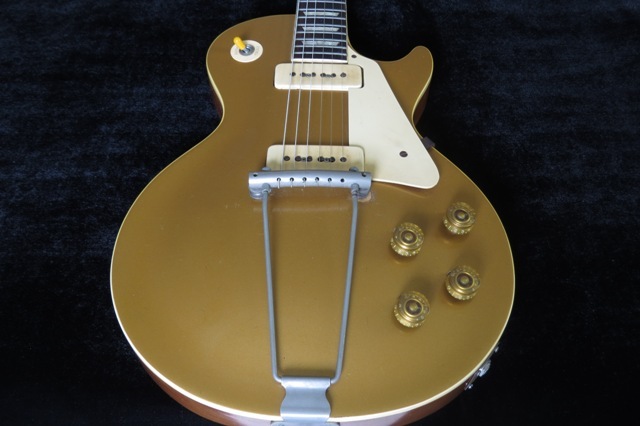 Vintage 1952 Gibson Les Paul Goldtop, Right Handed, has the killer tone these early Les Pauls are known for and this guitar is priced right! 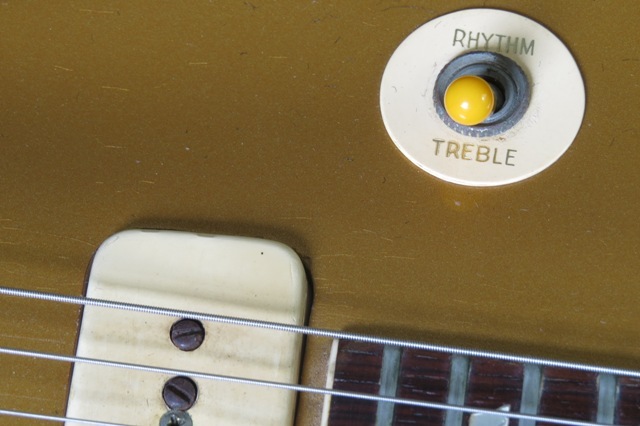 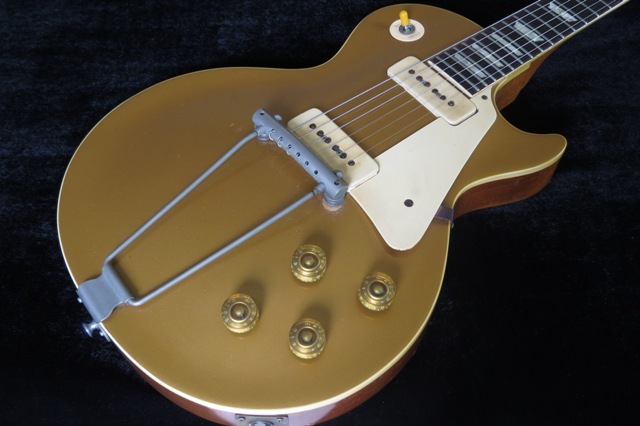 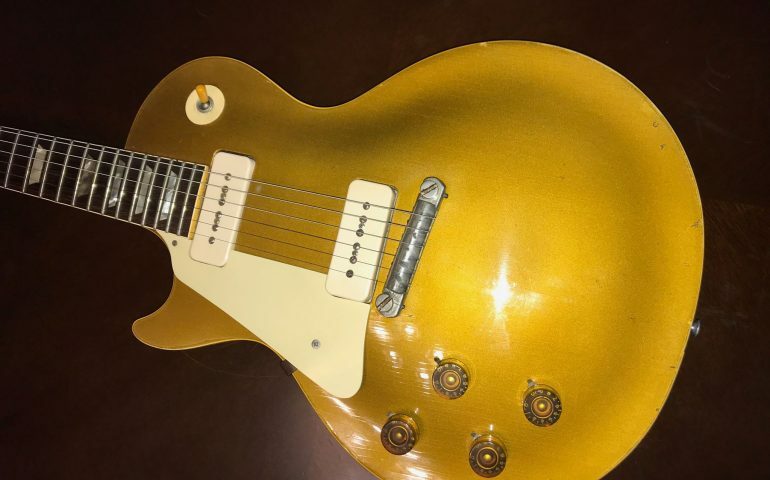 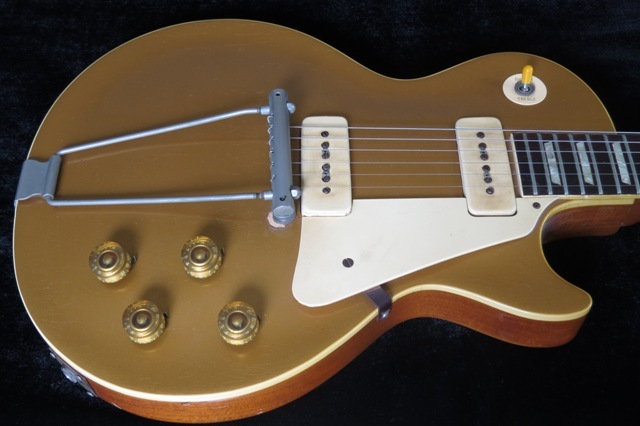 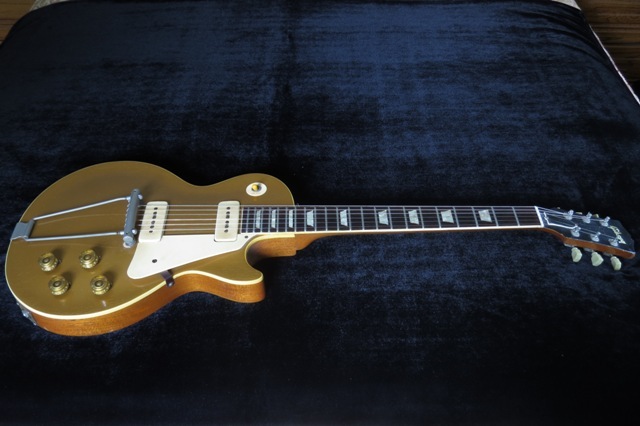 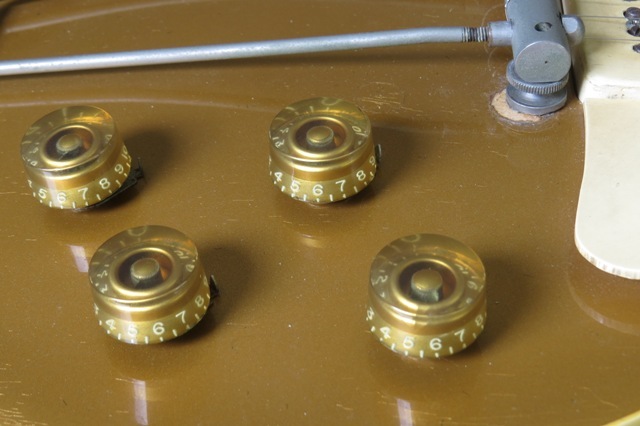 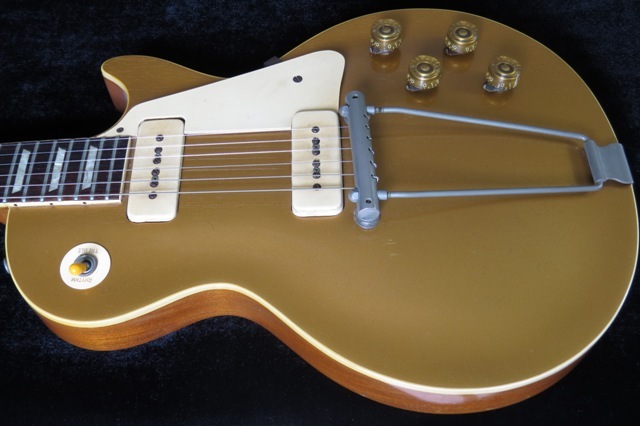 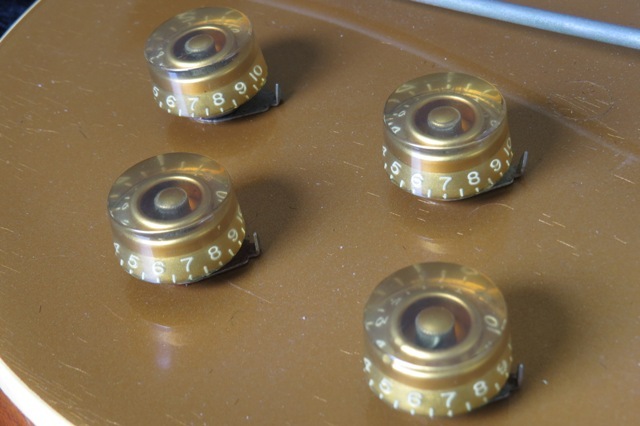 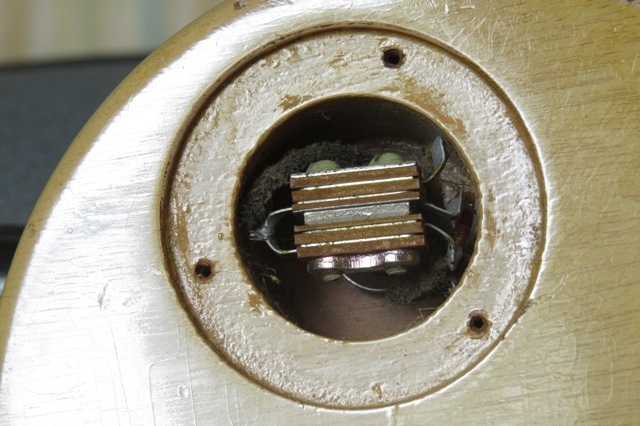 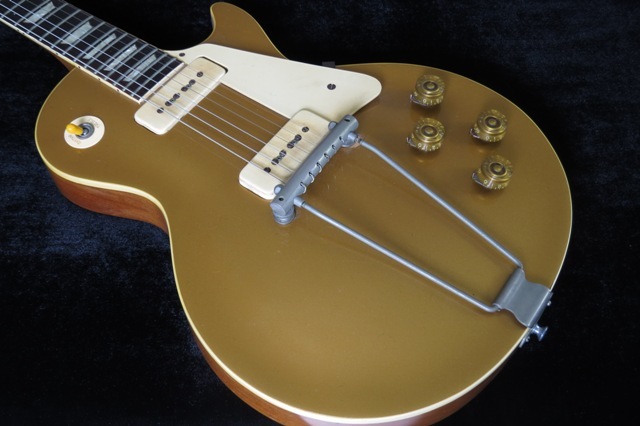 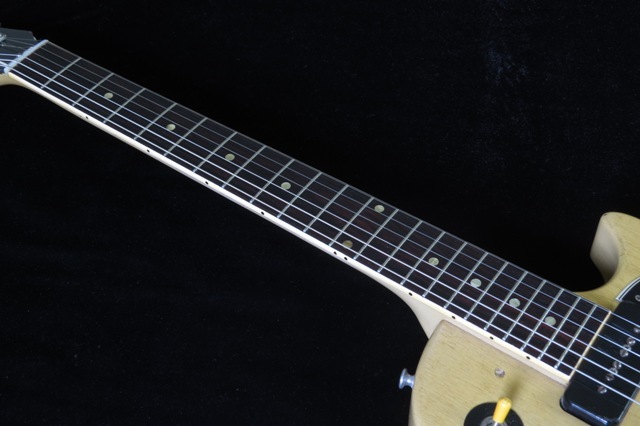 The Goldtop has a really well-done refin, refret with newer bone nut, modern Kluson tuners, was previously converted to a stop tail/Tune-O-Matic and wrap tailpiece(remnants can still be seen), newer wire from the switch to jack. 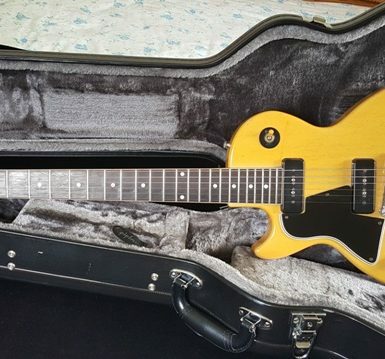 Includes newer Gibson hard case. 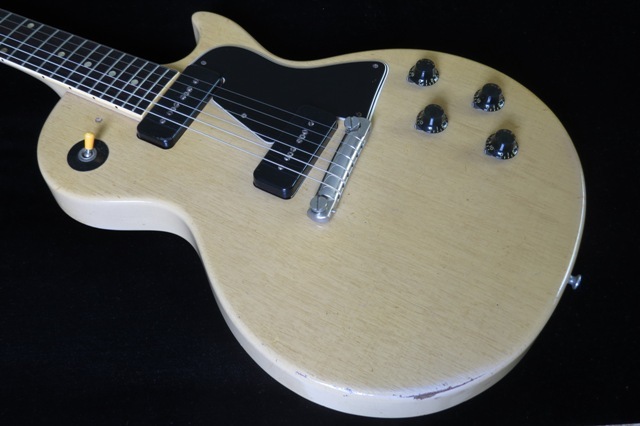 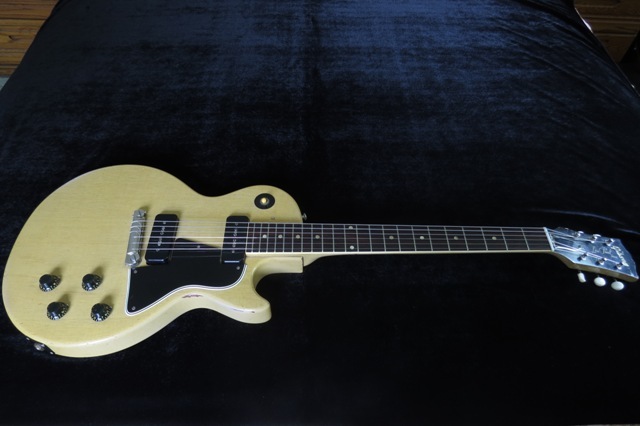 1956 Right Handed Gibson Les Paul Special, TV Yellow, Monster Tone! 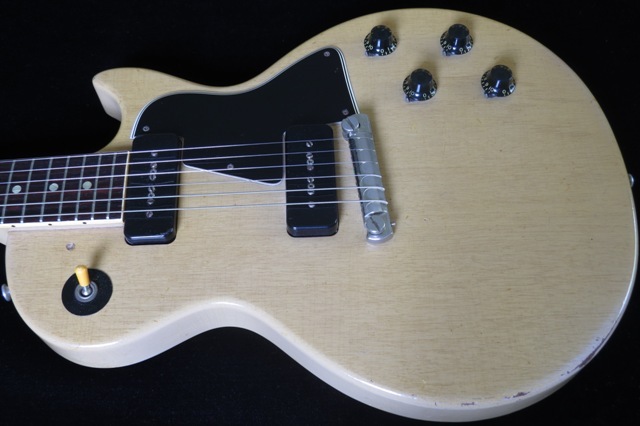 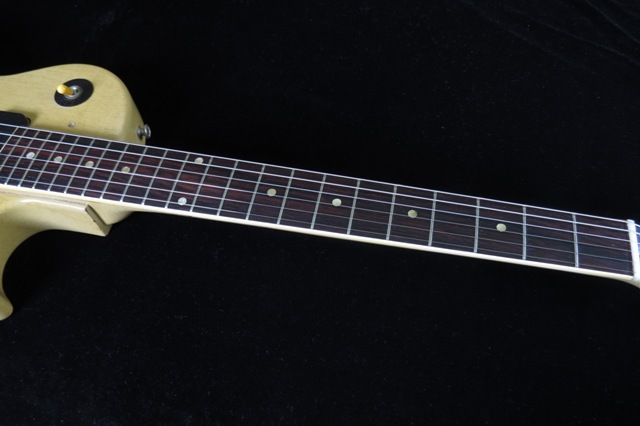 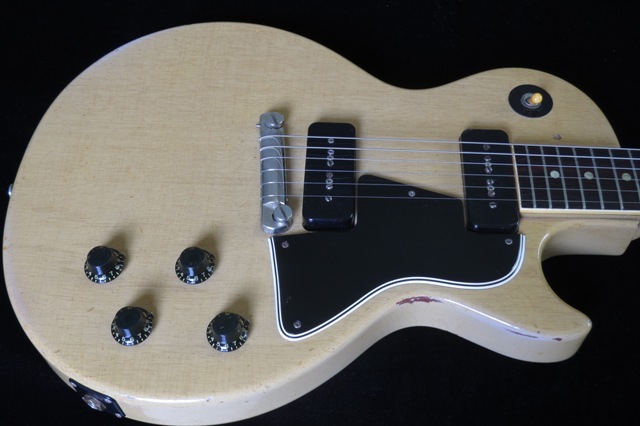 1956 Gibson Right Handed Les Paul Special, TV Yellow finish, this is a very fine example of a vintage 50s single-cut Les Paul Special! 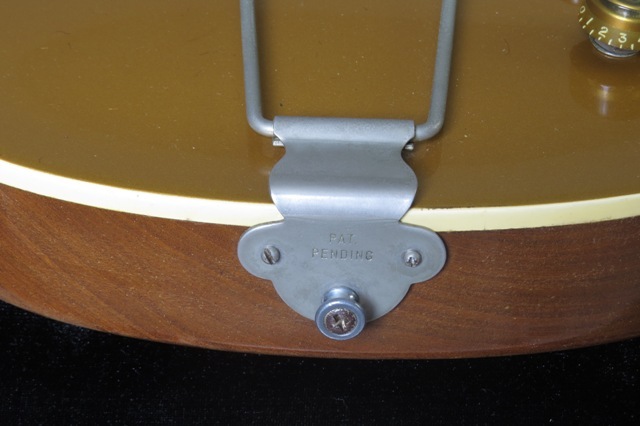 The guitar is all original with the exception of newer tuners, jack plate, and hard shell case. 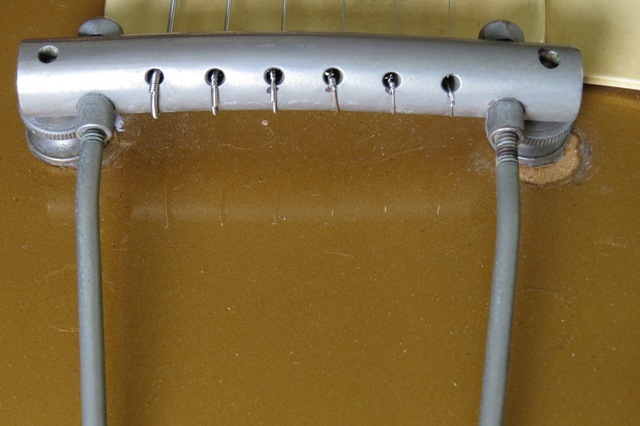 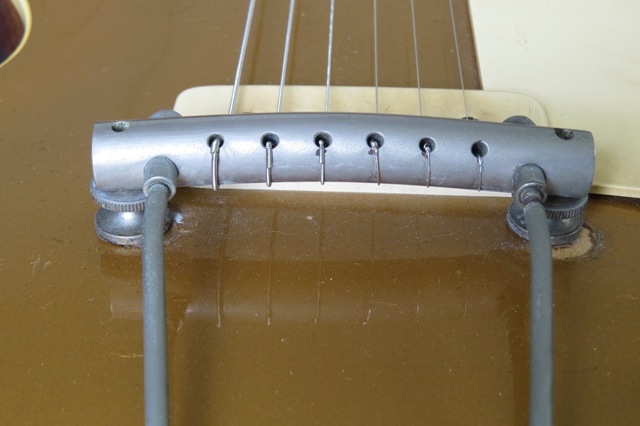 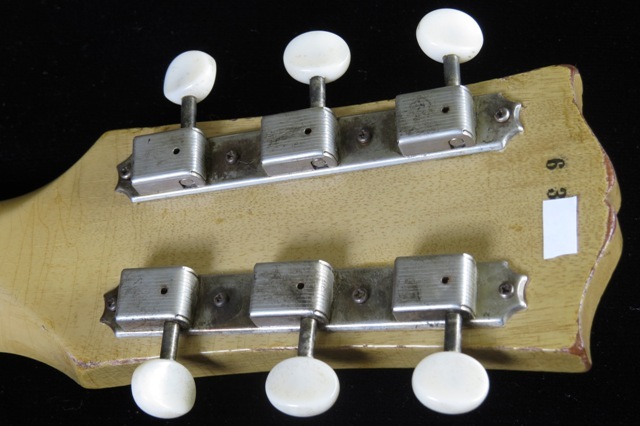 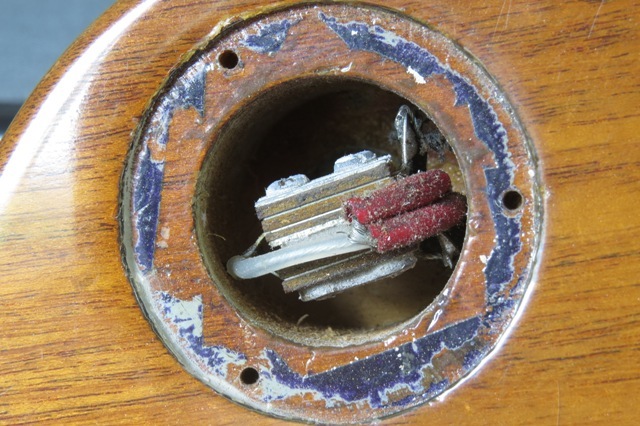 Overall, the guitar is in EXC Condition, has 1 ding on front and back, some edge wear on the bottom. 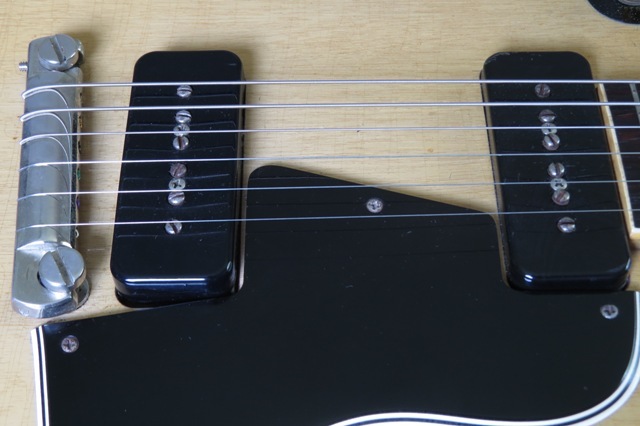 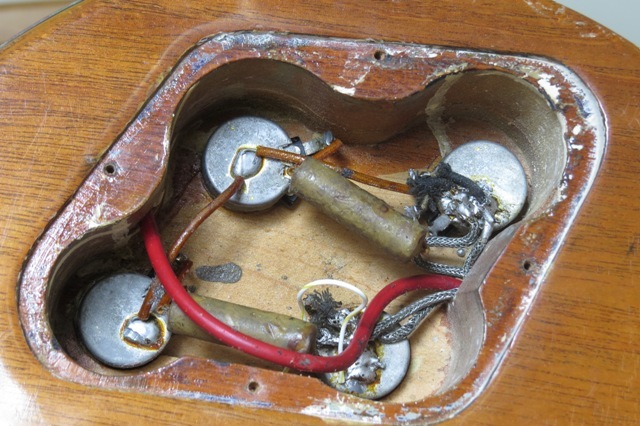 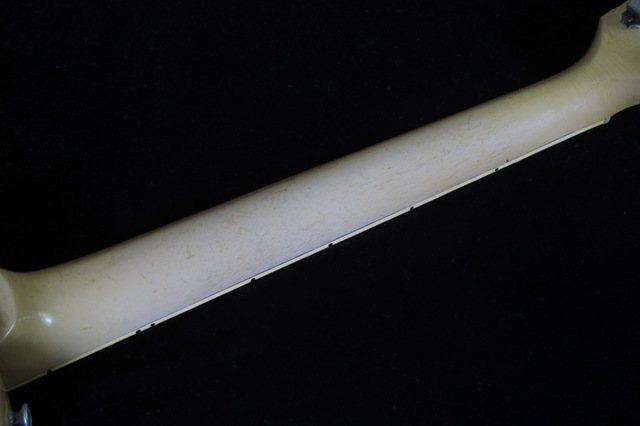 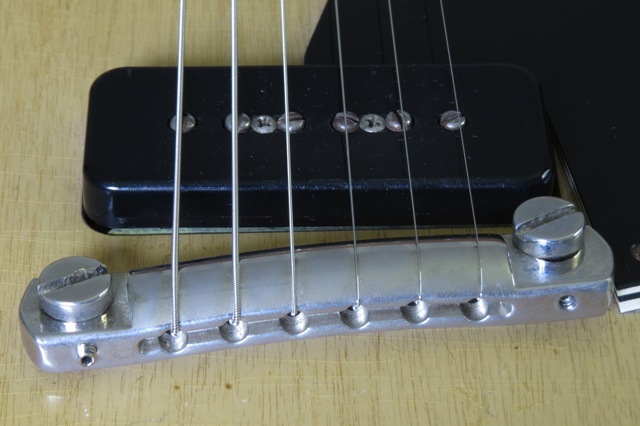 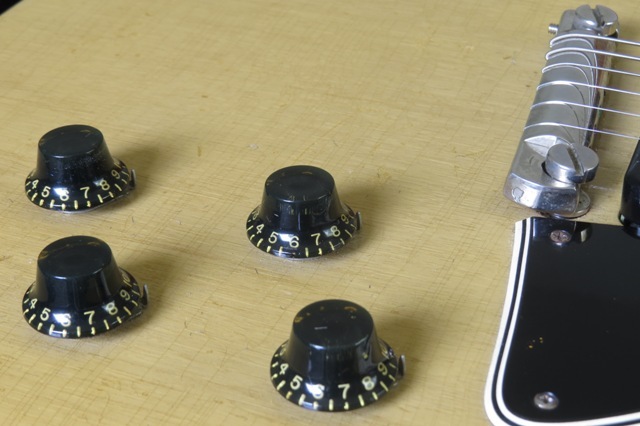 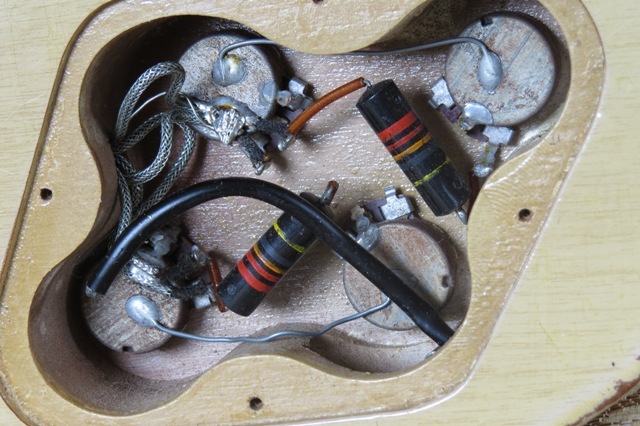 Pickup Outputs: Neck – 7.54K, Bridge – 7.39K. 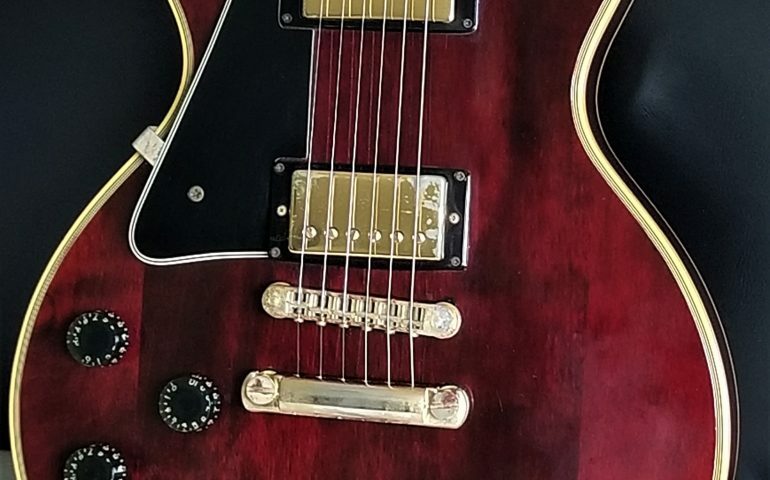 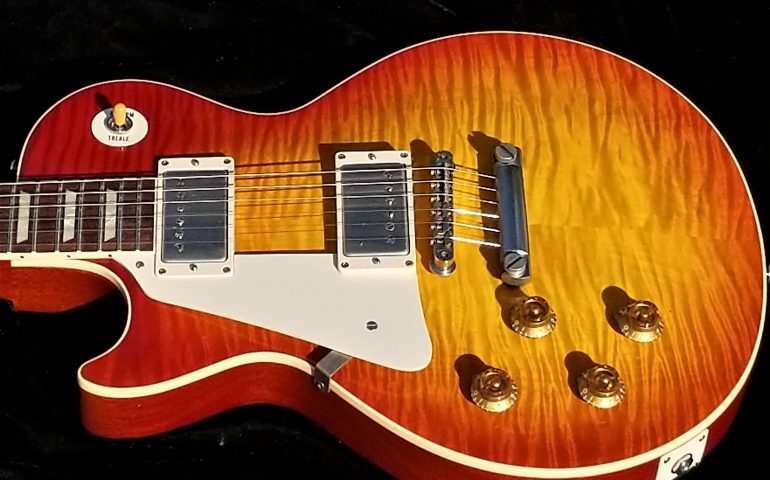 This guitar was inspected and set-up by Scott Freilich of Top Shelf Music; the guitar needs nothing and is ready to rock!